A physician’s job search is full of questions. Asking yourself these along the way will help you find your dream practice. The job interview process involves a lot of questions. You’re trying to find the best match for your experience, work style and skills. Meanwhile, your future employer is trying to find the best match for its culture and staffing needs. But the most important questions you ask throughout the process may be the ones that you ask of yourself. 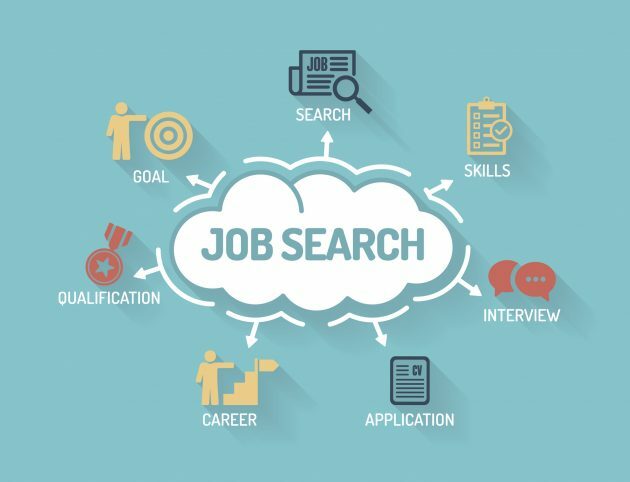 In a job market flush with opportunities, it’s important to direct your job search, narrow your options and quickly determine what setting is best for you. Start with these six questions to help clarify—then achieve—your goals. Question 1: What do I want out of my job? 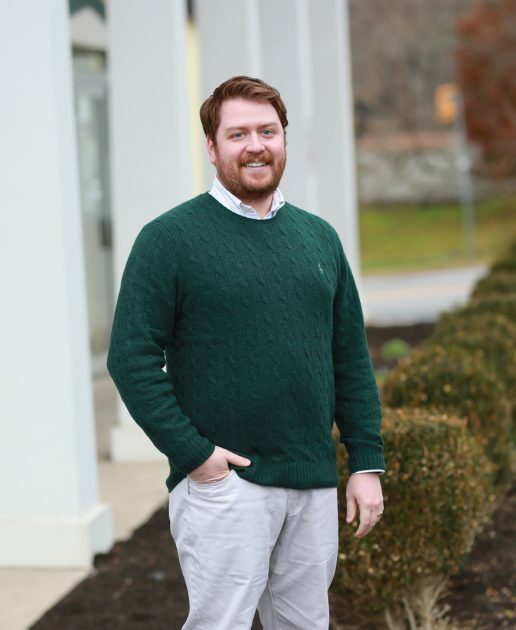 The culture of the community and practice was an important factor for Michael Antolini, D.O., in his job search. As you start looking for opportunities, consider who you are personally as well as where you’re headed professionally. Focus not just on your strengths and weaknesses, but also on your personality and preferences. That will help you define what practice type, size, configuration and culture will work best for you. Ask yourself: What do I want my work and private life to look like? Would I thrive as an employee or as an independent practitioner? Do I prefer working with other specialties or just my own? What would make me happy, confident and energetic at work? When Joshua Cohen, M.D., wanted a career change, he took inventory of his skills and asked colleagues and friends for input. They told him he had a knack for taking charge and would thrive in a leadership role. He found the perfect opportunity at Teva Pharmaceuticals in Frazer, Pennsylvania, as global medical director and medical lead for migraine and headache. This role allows Cohen to be involved in leadership and tackle new challenges every day. Most importantly, he can focus on his passion: improving the lives of migraine sufferers. “I really wanted to do something that would be meaningful to the patients I had treated for all of these years,” he says. No matter what your specialty, following these pointers can help you simplify your job search and make your decision easier. Identifying your personal strengths is essential for your cover letter, CV and interview. And believe it or not, admitting your weaknesses can also be useful. “Physicians really need to take a hard look at what skills they’re going to need or even sharpen and improve,” Born says. If you can identify areas for growth, you’ll demonstrate an eagerness to improve, and you’ll find a better fit for your talents. Don’t be afraid to ask family members, friends, peers and even program attendings for their assessment. Streicher advises physicians not to accept a job just for personal connections. After all, what happens if you join a practice because you want to work with specific providers and they leave? Ideally, something about the practice would keep you invested even after a major staffing change. Learn as much as possible about the organization’s plans to make sure they jive with your own. For instance, if the practice is acquired, you may have to negotiate a new contract, and your career trajectory may change. It’s always better to be informed than caught off guard. Question 2: Is the work environment at this practice right for me? Your search isn’t over once you find a practice that matches your criteria. You need to evaluate the offer—beginning with the work environment. Do administrators foster a supportive environment? Will you be able to flourish as a physician and maintain a healthy work-life balance? You can get a sense of the workplace dynamic from your interactions and observations throughout the interview process. If prospective colleagues are genuinely content, you’ll feel, see and hear it. You can ask a few questions to help assess the environment. For starters, why is the practice hiring? Longevity speaks volumes about the practice leadership, as does high turnover. You should also ask about workload and policies. How much time will you be spending at the office, and will you have enough time left over to enjoy your personal life? Is it a democratic environment where everyone has a say, or is the decision making top-down? And what about the management style? Whatever the case, you want to know that the structures and environment will suit you. Parin Patel, M.D., is targeting her job search by looking for an academic or hospital setting. She’s now a fourth-year obstetrics and gynecology resident at The University of Texas Medical Branch in Galveston. She’s excited to merge clinical duties with teaching, and she also wants to motivate younger doctors to become leaders in their specialties. As president of the American Medical Women’s Association resident division and an active participant in American College of Obstetrics and Gynecology, Patel enjoys being a voice for the profession. Wherever she ends up, Patel hopes to find a practice with colleagues who share her commitment to the underserved. “I want to work with people who understand and are supportive of someone who wants to provide care to patients potentially not able to find it anywhere else,” she says. Question 3: Can I be professionally successful here? For a profitable, satisfying career, you need to find a position where your skills are in demand. Consider the local community and its patient population. You’ll want to know not only how your competition stacks up, but also basic information about the local economy. Will it support a stream of patients for your specialty? Examine the professional opportunity at the practice itself. If you’re replacing another physician, you’ll likely have a patient base ready when you arrive. But if administrators plan to use your skills to grow the practice, you’ll likely have to start building your patient base from scratch. As a job-seeking candidate, it’s natural to fixate on your own professional development. But don’t lose sight of the bigger picture. Your family members deserve to have a say. Recruiters say physicians sometimes miss this important first step: sitting down to talk about what’s important to everyone involved. Consider schools for your kids, professional opportunities for your spouse and activities for your family, along with any other important factors. For instance, when Patel and her husband graduate from residency in 2018, his training will continue in Galveston, Texas. While she’ll be ready to find an OB-GYN practice, he’ll be just starting a year-long fellowship in cardiothoracic anesthesia to complement his general anesthesiology skills. You should also ask about travel. If you’ll be practicing at more than one facility, consider how that travel time might affect your ability to see patients. Productivity impacts compensation, and splitting your time among several locations might reduce your efficiency. At Radiation Associates of Macon in Georgia, Lopater found exactly what he was looking for. The practice already had a close relationship with a medical oncology group in the same building, so sharing patients and information was an established routine. “It’s been a very strong practice with very good relationships,” Lopater says. He now enjoys a steady stream of patients and sees a variety of cases, from breast, lung and prostate cancer to head and neck cancer. Question 4: Is this the right community for my family and me? It’s natural to focus on your employer during a job search, but you shouldn’t overlook the town you’re moving to. If the area is a total mismatch to your personality or your family’s personality, it can deplete your energy and drive—and make everyone unhappy. Finding a geographic location that supports her family’s religious needs is an important piece of post-residency planning for Parin Patel, M.D. As Patel and her husband, Nikul, look for their next home, they are prioritizing proximity to a major airport nearby. And while they’re willing to live outside the Northeast, they want visiting family to be relatively easy. It’s also important for them to be able to worship their Hindu faith as members of a BAPS temple. BAPS congregations are scattered across the country, and Patel is using their locations to direct her search. As a result, she’s expanded her options to cities that she hadn’t previously considered. 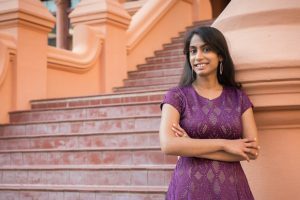 Because the denomination is closely knit, Patel anticipates knowing people already or meeting people who are familiar with her temple in New Jersey. Question 5: What do I want my future to look like? Think about your job not only in the short-term but also in the future. Having a sense of where the position might take you can help determine if it’s truly the best fit. Will the environment sharpen your skills? Do you expect to stay put, or is it a stepping stone to another place? Lopater, for instance, put autonomy and partnership at the top of his wish list. He not only wanted a pleasant work environment, but also some control over business decisions. His biggest must-have was a written guarantee that he’d make partner in two years if he showed his worth. “I wanted a position where I could stay long term and not have to uproot my family once I settled in,” he says. Other opportunities offered higher initial pay, but Lopater believed Radiation Associates had a long-term interest in him. They were willing to make a firm commitment. In turn, he was willing to make a little bit less at first because he was confident he’d be a partner in year three. It was a busy organization, and the practice recently made good on their two-year commitment by making him partner. Question 6: What’s my fallback plan if this job doesn’t work out? As you enter the home stretch with any offer, you’ll likely have high hopes for the future. You’ve done your homework and made informed choices. And if your initial vibes are positive, it’s hard to envision everything crashing around you. But what if things don’t unfold as nicely as you envision? Do you have a plan B? It’s smart to anticipate your next steps if your new position doesn’t live up to your expectations. Your backup plan should lay out your options if you leave the position you’re considering. Where would you go next? What sort of practice would you look for? If you want to remain in the same community even if you leave your job, make sure your contract has a favorable out clause. And if you’re not excited about an opportunity from the get-go, perhaps you should reconsider your acceptance. “Chances are it’s not going to work for whatever reason if you already have those feelings,” says Parker. Even if you love your job and don’t plan to look elsewhere, it’s smart to have a contingency plan. Since starting his job, Antolini has sought additional leadership roles. As medical director of four nursing home facilities, he sees 80 elderly individuals each week in addition to his clinic hours. He loves his job and the location, but he wants to have options if his circumstances change. With geriatric medicine on his CV, he’s confident. “If it all came crashing down tomorrow, I feel good about just presenting what I’m doing,” he says.